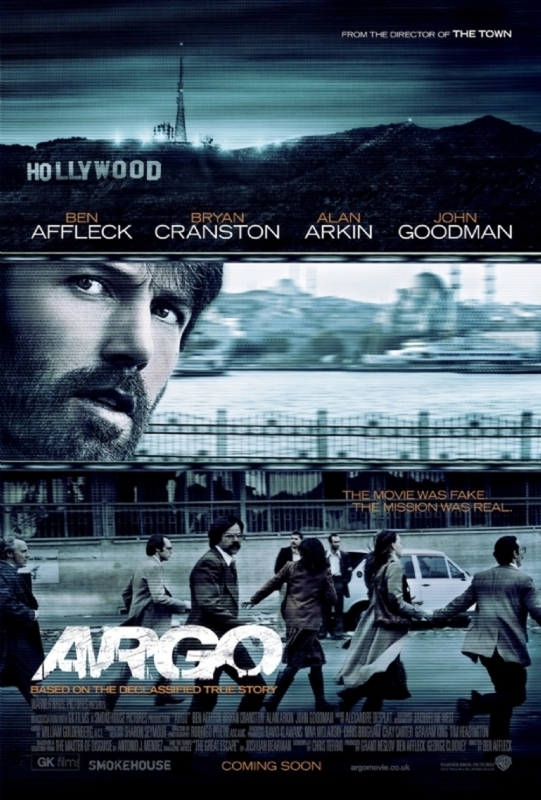 Ben Affleck directs and stars as CIA agent Tony Mendez in his latest film Argo. Based on the true life events surrounding the 1979 Iranian hostage crisis, Argo tells the remarkable story of the joint mission between the CIA and the Canadian Government to rescue 6 US diplomats from Iran before they get found by the Iranian militants who are pursuing them after escaping from the attacked embassy. After an intense period of brainstorming, the team realise that no idea is a good idea, and the best worst idea that they have is to set up a fake Hollywood production for a fake sci-fi movie in order to get the stranded Americans out of Iran - but will such an outlandish plan be enough to safely rescue and return the endangered diplomats? The most remarkable thing about Argo is the story itself; which based on real events is truly unbelievable. This true life element is the real driving force of the entire film. It is therefore important that the film is able to convey a sense of believability so that this comes across as strong as possible, and to a great extent Argo succeeds in doing so. The film itself - despite its fast paced, quick edit trailer - is actually a slow paced thriller that takes its time during the film’s major scenes and doesn’t deviate very far away from the events that actually occurred. Yet this is certainly not to be confused with a criticism of the film (although I did feel that there was a bit of a lull in the film’s second act where my attention began to drift slightly), in fact it was often the slower and less eventful scenes that actually stood out and stayed with me for being incredibly tense. This isn’t a film that appears to have been fictionalised to make it more exciting - there are no major action scenes thrown in to please the masses – this is a film that knows its source material and respects both it and the audience watching. And if there is any doubt in your mind about the film’s validity, moments during the end credit sequence that place screenshots from the film side by side with photos from the actual events show remarkable accuracy and really help to drive the point home. 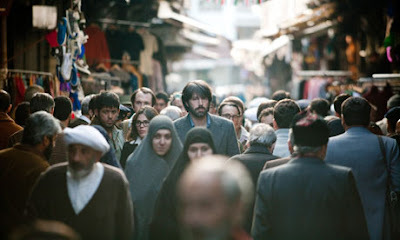 Obviously there is the danger that Argo could become a rather controversial piece considering the heavy Iranian presence – yet the film handles the subject matter very tastefully. Being an American film that follows a mostly American group of people, it is inevitable that the film will come from an American perspective, which is something that is often criticised in certain films (war films in particular) but something that I do not have a problem with – it merely reflects that element of the country and their national cinema, as would any number of other films from around the world. That’s not to say that the film wasn’t without a certain layer of Hollywood Schmaltz from time to time though. What I did however fear could happen was the potential for an unjust depiction of the entire Iranian population by forcing them into being portrayed inappropriately or insultingly as completely unrelatable villains, when actually I didn’t have a problem with that. The Iranians are of course depicted as the opposing side, but never entirely as ‘the bad guys’ though. This may however be because the film does divide its time with another area of the narrative – the Hollywood half of the plot. What Argo does, and has been heralded by some for doing, is to combine comedy and thriller together into one film. Whilst the political thriller elements of the hostage situation are incredible tense, the scenes set largely in Hollywood as Affleck’s character attempts to stage a fake film production for a fake and very cheesy sci-fi film called ‘Argo’ are in fact the opposite and very funny (particularly so thanks to supporting roles from John Goodman and Alan Arkin). What did let this down however is the fact that the two never really gel together entirely; the film is either slow, tense and brooding in the Iranian sequences, or fast paced, funny and entertaining in the Hollywood sequences. Very rarely did I feel that the film was able to successfully incorporate the two tones together at the same time, which made the film feel almost like two completely different films happening at the same time, resulting in both of them feeling incomplete for being just half a film. This did have a negative effect on my feeling towards the film as a hole, as I never fully felt completely satisfied with the end result; a somewhat mish-mash film that couldn’t seem to decide what it really wanted to be. 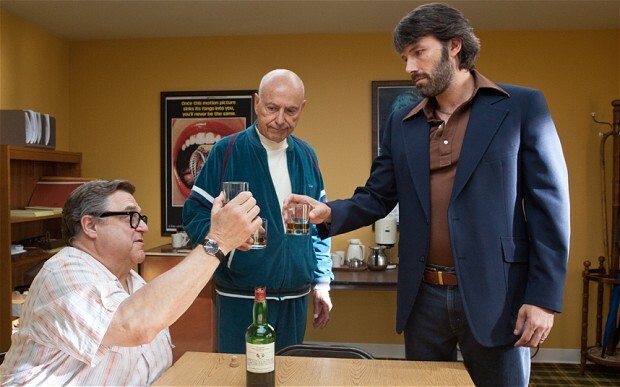 Goodman and Arkin toast with their director to stealing the show! Ben Affleck continues to create a solid directorial oeuvre with his latest film Argo, which tells a rather remarkable story that is partially let down by the film itself. Whilst it is certainly worth a watch to learn about the true events that inspired it - which are both tastefully and accurately brought to the big screen to create a believable, un-Hollywood-ised piece – the film’s unique mix of comedy and tension makes it an enjoyable watch but one that may leave you feeling a little underwhelmed considering the potential that such a film has. A very solid cast provide a very solid watch, but for a film that could have been heading towards awards season gold, it does feel a little under par. Argo (certificate 15) is now showing in cinemas across the UK. Have you seen Argo? Agree or disagree with my review? Leave your thoughts and opinions in the comments section below!